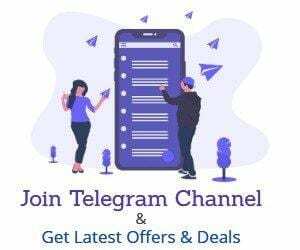 SonyLIv Axis Bank Offer – Hello Readers ! We are back with A New 100% Cashback offer on SonyLIV. 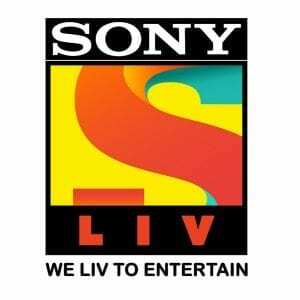 You must aware of SonyLIV.com it’s a Streaming Website like Hot star & netflix From Sony Televisions. 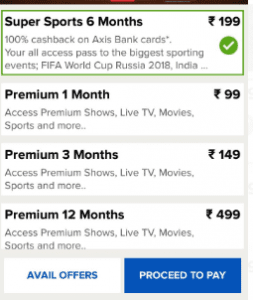 Recently We have published a Coupon Code which was Offering Free 1 Year Subscription to SonyLIV at Just Rs.1 Now here is Another Deal Where You Will Get A Cashback of Rs.199 in Your Axis ASAP bank Account for Purchasing Sony LIV 6 months Sports Pack.If You Don’t have Axis ASAP Account the n You can get it right now by Clicking Belo link Also Read About All Axis ASAP Offers. First of All Open Axis ASAP Account Online if You don’t have One by Clicking Here. You Will Need to Submit Adhaar Card Number & Pan Card number if You Don’t Have to Use Your Parents or Elder brother/Sister. Now Download SONYLIV App or Visit SonyLIV Website. Create A New Account On SonyLIV or Login to Existing One.  The offer is valid only on SonyLIV 6months sports pack and not on any other packages.  Purchases made before or after the offer period shall not be eligible.